This dinosaur pasta is for the kid in all of us. Use this pasta to make some macaroni and cheese, or with a simple butter sauce. Either way your kids or the kid inside you will love it. For once its OK to play with your food! COOKING INSTRUCTIONS: Bring 4-5 quarts of salted water to a boil. Gently add pasta and stir for 1 minute. 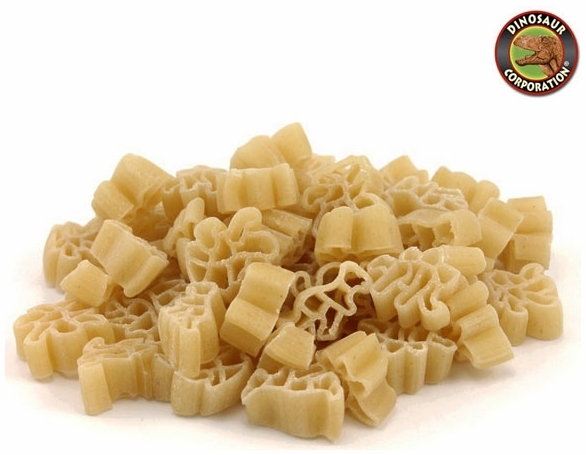 Lightly boil for 10 -12 minutes or until �al dente�. Drain and serve with your favorite homemade sauce. * My brother, a serious pasta aficionado, will be thrilled! * These are going to be Christmas gifts for my little grandchildren, they are into dinosaurs, so this will be exciting for them. Nuts.com is a place where you can find just about anything "Yummy!!" Thank you so very much.